This may or may not be an accurate portrayal of how I look… but it certainly is a more than adequate illustration of how i feel about myself as I’ve watched myself balloon over the last 6 months or so. It’s been almost 2 years since the last Recycling Project here at The Heap, where I lost 30 lbs, and was able to maintain my weight for almost a year. But alas, for the last few months, I have just been eating uncontrollably. I’ve had to use clothes I never thought I would ever have to again. It’s time to get back to where I was, and them some. I will be adhering to a strict diet for the next few months. Mornings will consist of egg whites and fruit while lunch and dinner will be either a grilled chicken breast or fish filet (a la George Foreman!) with a side of fresh green beans. I’m also prepared to make a chicken salad for lunch with fruit and a light vinaigrette dressing to be used in moderation. I will be using Oxy Elite Pro as a dietary supplement after discussing with some friends regarding efficacy and safety. So as a result, I will be downing close to a gallon of water daily. I plan to be doing some sort of exercise as well as I will be joining a gym and/or be doing the trash in the near future. I am very excited yet a bit nervous for this time of change. I will miss drinking beer and Taco Bus very much. I’ll be giving a weekly update of weight loss! This might be the closest to a “green” movement you’ll ever see here on The Heap. No, we aren’t talking about knowing which products go in the blue or white bin. Or even remembering to put the recycling bins out on a weekly basis. 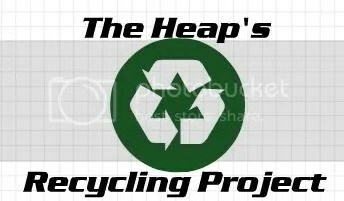 (Though The Heap does recommend and smile upon recycling- it’s less trash for him!) It’s much more personal than that. It’s time to get rid of The Heap’s heap of a mid-section. Today, August 1st, is the official start date for my diet, though I actually started earlier this week… to kind of ease into it. Ive been doing well, no super strong cravings yet. In fact, I’ve been able to stave off temptations at work! 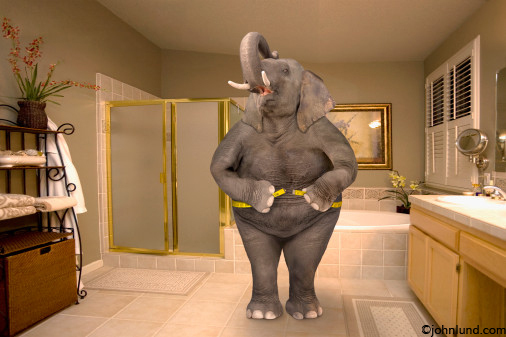 My diet of choice is the trusty Weight Watchers. WW was quite effective for me when I last was on it in summer of ’06, so I’m hoping to see better results that I don’t have to go back to school and battle the lovely temptations of SDH. So, you can count on a weekly report: The Recycling Project for a journal-like entry of how I am doing, a breakdown of my daily point consumption, and weight loss. I’m shooting for the 230’s by Christmas time! 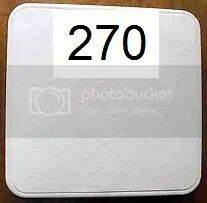 Starting at 270 as of today! (Which was actually a lot lower than I thought I was!) SO a loss of 40 lbs. in 5 months is certainly do-able! Especially with my vigorous exercise regimen known as The Trash, I do 5 times a week. I’m excited.